Ctown Weekly Ad December 7 - December 13, 2018. A Blizzard of Savings! 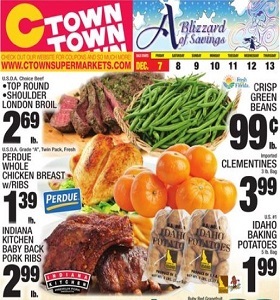 Ctown Weekly Ad December 7 – December 13, 2018. A Blizzard of Savings! -$19.99 Krasdale Hamburgers; $3.49 Ground Turkey.